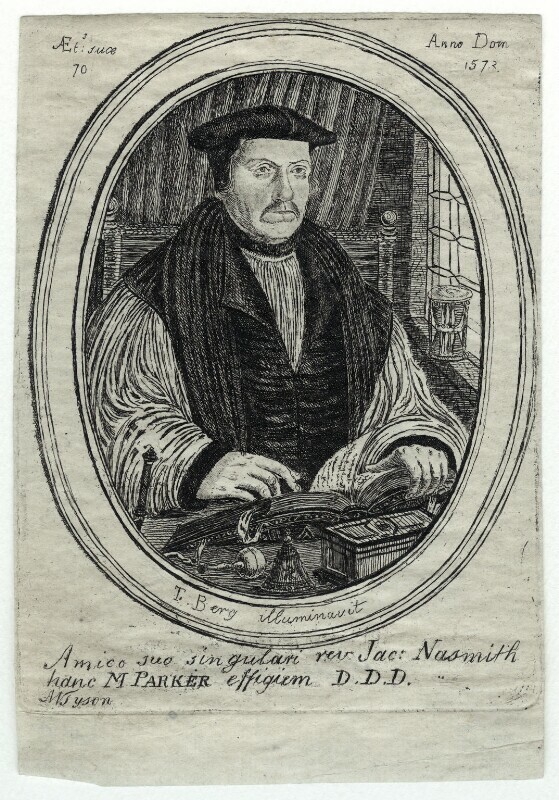 Matthew Parker (1504-1575), Archbishop of Canterbury. Sitter associated with 34 portraits. Michael Tyson (1740-1780). Artist associated with 6 portraits. Radical John Wilkes is expelled from Parliament once again, on the grounds that he was an outlaw when he was voted in. He is re-elected by his Middlesex constituents, then expelled and re-elected twice more, until Parliament declares his opponent, Henry Luttrell, the winner. First of 69 anonymous Letters of Junius appears in the Public Advertiser, exposing political corruption. The politician Sir Philip Francis is now believed to have been responsible. Josiah Wedgwood opens his Etruria Works for the manufacture of pottery. Inventor Richard Arkwright patents a spinning frame able to weave fabric mechanically. Gordon's London Dry Gin is produced for the first time. First Royal Academy exhibition is held. Debrett's Peerage and Baronetage is first published. Captain Cook observes the transit of Venus in Tahiti while his passengers, Joseph Banks and Daniel Solander, collect valuable specimens of Pacific flora. The expedition travels on to New Zealand where Cook begins charting the country's entire coastline. Treaty of Madras ends the First Anglo-Mysore War but fails to settle dispute. French inventor Nicolas-Joseph Cugnot tests a steam wagon, probably the first working mechanical vehicle.